Realising that available materials will likely have a bearing on the chosen method I have not included dimensioned drawings. For me I have made guards from folded clear acrylic sheet. For this I used a simple hot wire bender that makes the process a simple one and achieving near professional results. That is providing you do not leave the material too close to the hot wire for too long, as I did, and can be seen on the front bend of the pulley shroud, Photograph 31. Photograph 32 shows the guard over the drive input belt. 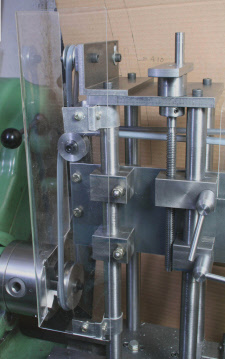 If you have a sheet metal bender able to cope with the required lengths then one made out of aluminium or sheet steel would be a more logical approach. 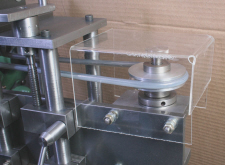 The spindle pulley could no doubt be protected with a cut down plastic container if all else fails. For anyone who has only a lathe and a drilling machine and whose intended workshop activities involve relatively light duty operations, this milling head will be very useful. The fact that it can be made without any need for milling operations also makes it worth consideration. 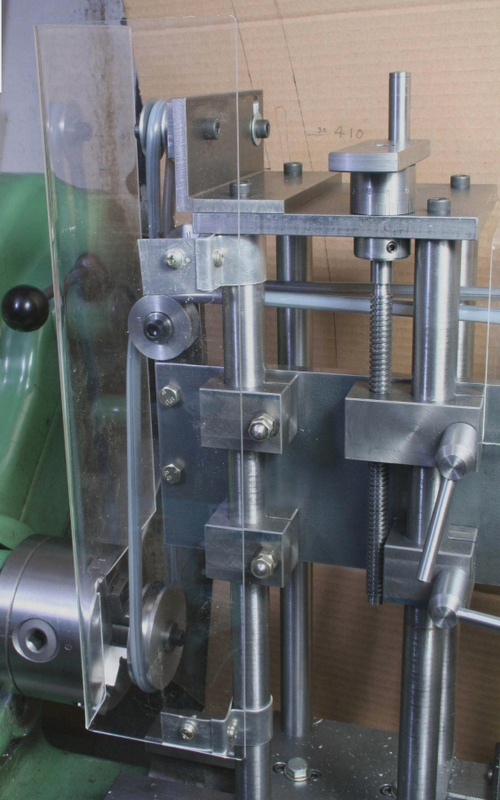 There are many workshop activities that do not demand the capability of a heavy duty milling facility, non more so than model engineering in the smaller scales. To illustrate this I am showing elsewhere the Stationary Steam Engine “Tina” being made using just the lathe fitted with the milling head, plus a very small drilling machine. 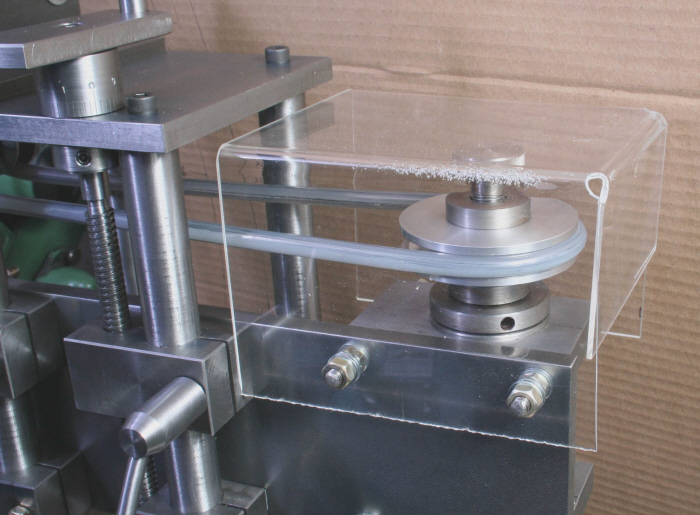 Hopefully, this will encourage those who feel that their workshop is insufficiently equipped for making such a detailed model to have a rethink and make the milling head and get started on an interesting project in some form.